WASHOUGAL — They kicked it to him. They really kicked it to Tyler Flanagan. And Tyler Flanagan made them pay. 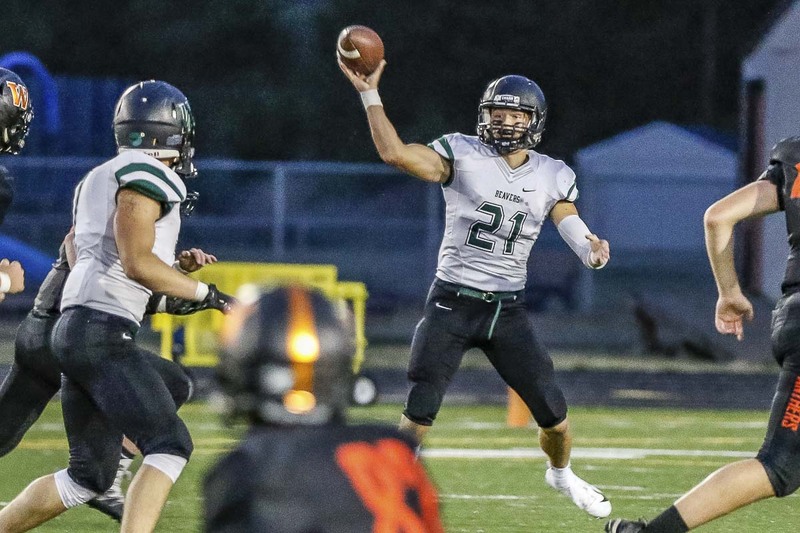 Flanagan returned the kickoff 84 yards for a touchdown, giving Woodland the advantage it would need to hold off a Washougal rally Friday night as the Beavers got out of town with a 29-26 victory. Seconds later, he was chilling in the end zone, giving the Beavers a nine-point lead with 3:09 left in the game. Up until then, the Beavers had been shutout in the second half. 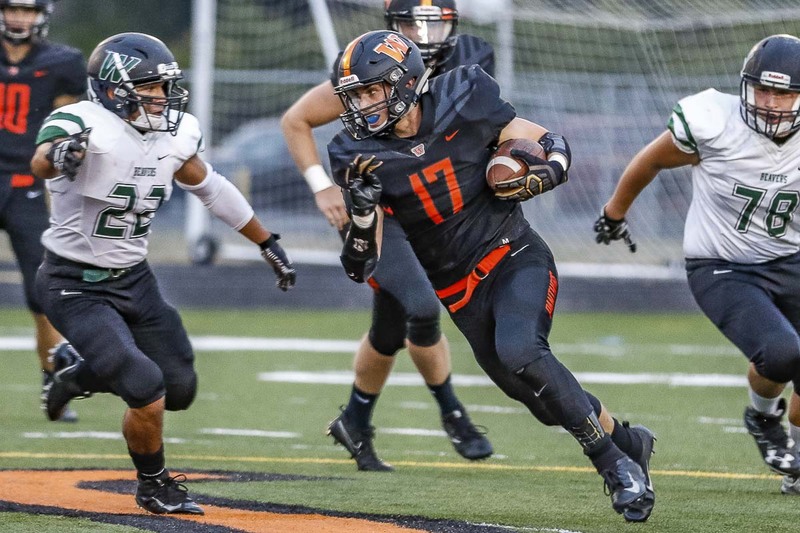 It was Washougal with all the momentum, picking up most of the yards and coming back from a 15-point deficit to cut it to two points. Jakob Davis caught a 14-yard touchdown pass from Dalton Payne to make it 22-20 with 3:22 to play. The 2-point conversion to tie failed, but there was still time. The Panthers could have tried the onside. Or a squib kick. Instead, they kicked deep. Washougal coach Dave Hajek said there was a miscommunication on the play. “My first thought was ‘Oh crap.’ Every other play we kicked it away from him tonight,” he said. On the other sideline, Woodland coach Mike Woodward did not even watch Flanagan’s return. Instead, he watched the blocking. Flanagan and Anthony Clifford were deep for the Beavers on the defining play of this game. Flanagan called for the ball. “I heard him say, ‘Take it to the house.’ I did my best,” Flanagan said. Washougal did nothing on its next possession, used its timeout to get the ball back and did score on the final, weird play of the game for the three-point margin. Woodland intercepted the pass, but fumbled into the endzone on the return, where Washougal’s Julien Jones recovered for the score. The Beavers did not mind. They improved to 3-0 overall and opened the Class 2A Greater St. Helens League schedule with a win. Woodland’s John Arocan made back-to-back hustle plays from his defensive line position to stop another drive in the second half. Flanagan was doing Flanagan things throughout the first half, too, but on offense instead of special teams. The quarterback rushed for two touchdowns and threw for another. He finished the night with 223 yards through the air and another 113 on the ground. His 27-yard touchdown pass to Guy gave Woodland a 22-7 lead with 1:29 left in the first half. Washougal executed the perfect 2-minute offense and scored on a 6-yard pass from Payne to Davis to make it 22-14 at the half. Payne ended up with 272 yards passing, with Davis catching 10 passes for 123 yards. 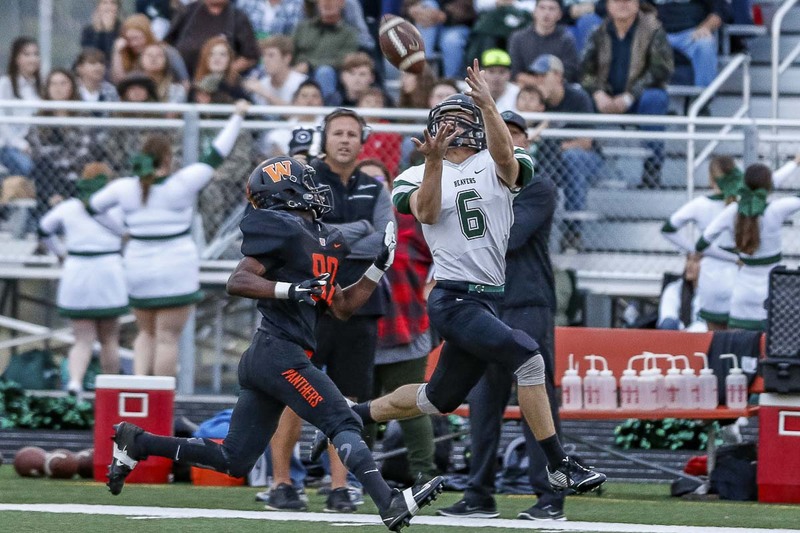 The Beavers offense found the end zone twice in the third quarter but both scores were called back due to penalty. The Panthers won the yardage battle in the second half but did not get in the end zone enough. Still, they had moments, opportunities. Washougal went 73 yards on 13 play to pull within two points in the closing minutes. Then that kickoff went to Flanagan. Flanagan showed off those skills one last time to secure a 3-0 start for the Beavers. RUSHING: Woodland — Flanagan 22-113, Guy 4-22, Jack Wear 1-4, Reid Hope 9-31, Wyatt Wooden 1-(minus 7). 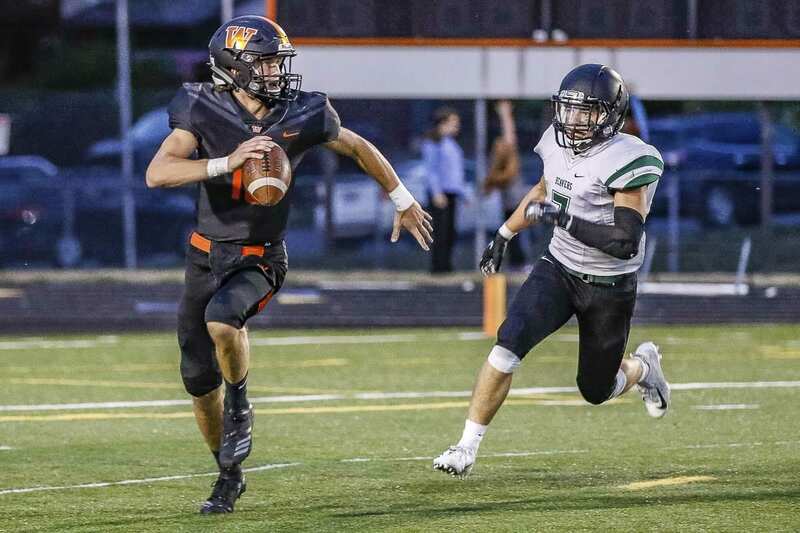 Washougal — Brevan Bea 10-21, Payne 11-34, Boylan 12-134. PASSING: Woodland — Flanagan 13-26-2-223. Washougal — Payne 22-38-3-272. RECEIVING: Woodland — Christian Yager 3-76, Wooden 3-55, Hope 3-44, Bishop 2-19, Guy 2-29. Washougal — Jones 7-81, Davis 10-123, Aiden Kestner 2-14, Boylan 3-54.